Come take a look at the Rogue Trader expansion as it appears in the newest White Dwarf. Get the breakdown on pricing and names for all of these things. 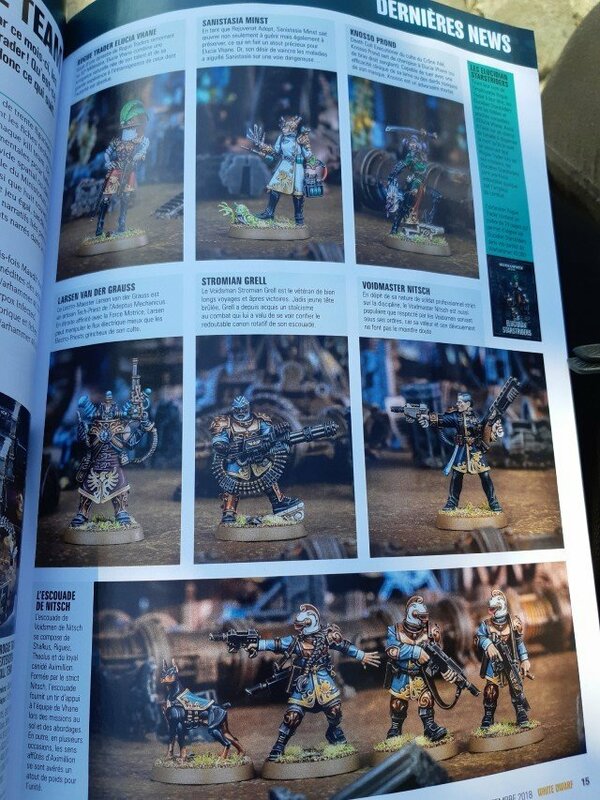 Today’s leaks are courtesy of Warhammer Forum user Elyar. First up, here’s a closer look at the Rogue Trader’s retinue. Check out the Voidmaster and his Voidsmen, looking like they could easily be Ventrillan Nobles or better still. Including the galaxy’s good boy, who is described as the loyal companion of Nitsch’s squad, and who finally has a name: Aximillion. The there’s the Gellerpox Infected, seen below. These include the Gnasher-Screamer, Pugglox, Grummax, Herg, the Writher and the three-headed mutant with a belly full of fire. But then you’ve also got Eyestingers, Cursemites, and Glitchlings ready to add to the mix. 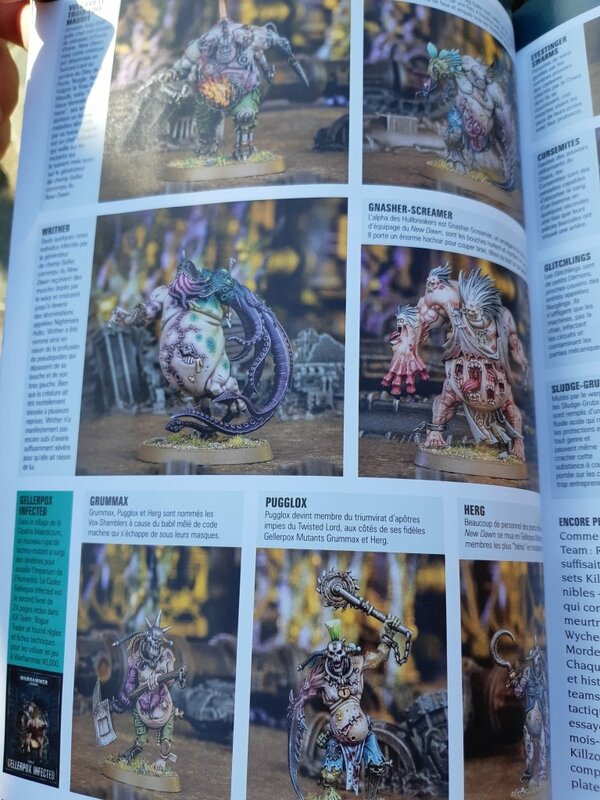 These look like some of the specialized nurglings–I love the wooden sword and pegleg on these little gremlinoid guys. Here you’ll also find the prices for the Rogue Trader Dice, Kill Team Faction Set, and Death World Forest Killzones at $15, $50, and $80 respectively. 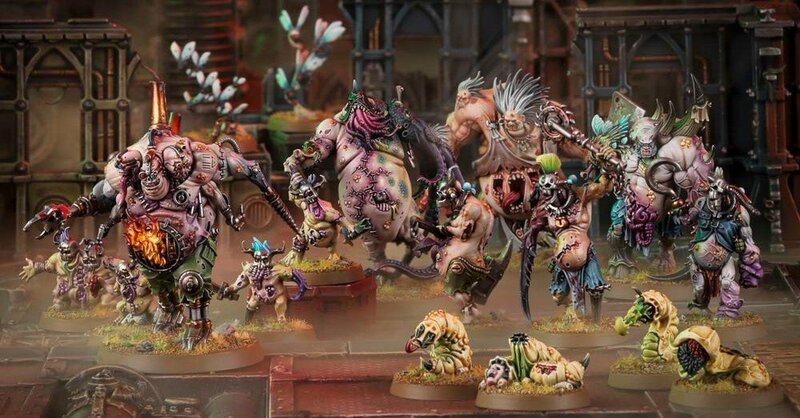 So get ready for the grim darkness to get a little more grimmer, and let’s see what else we can learn about these maverick models over the coming week. 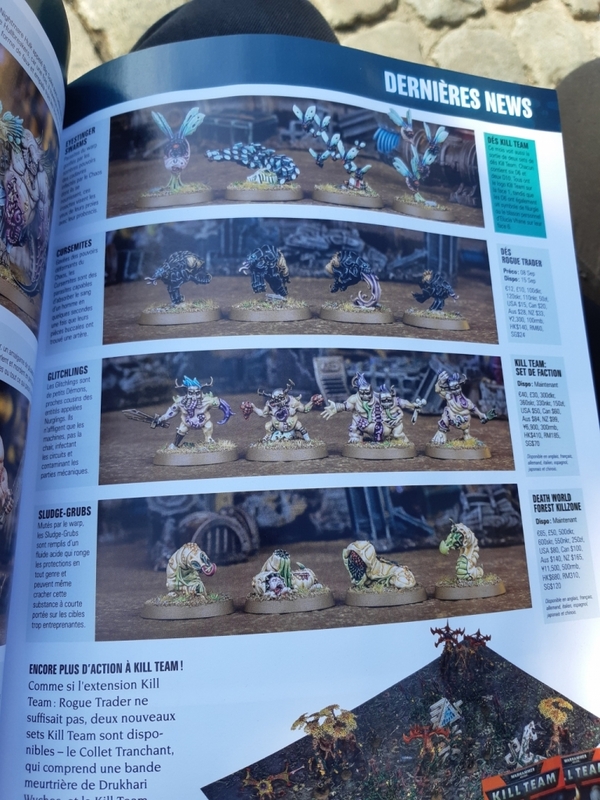 With rules for both of these to be used in regular 40K, now I wonder how many boxes you’ll have to buy before you can field a unit entirely made up of dogs–unless Aximillion is a special character. Which, given the state of 40k, wouldn’t surprise any of us in the least.